When David Bakken gets to telling stories about his playing days, he can casually mention that his name is etched on one of the coolest trophies in all of sports. Well, no. Bakken never has played in the NHL. He has, however, been a dominant pond hockey player, and the proof is affixed to the U.S. Pond Hockey Championships’ prestigious Golden Shovel. As the new St. Paul Como Park boys’ hockey coach, Bakken brings a wealth of playing experience to the program. While pond hockey and amateur adult checking tournaments might be considered unconventional playing paths, they have provided Bakken with the type of competitiveness and camaraderie he hopes to bring to the Cougars’ program. 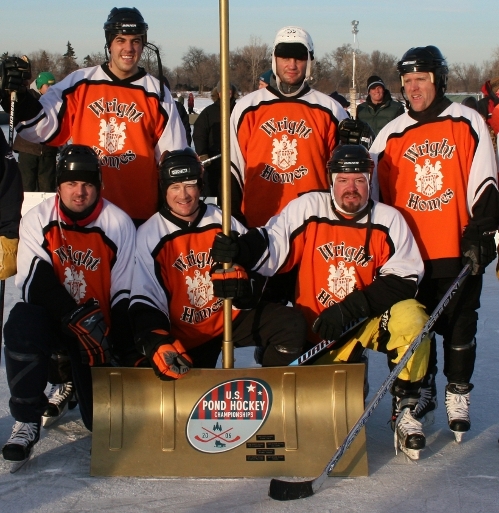 “If you work hard and compete, that in itself can be fun,” said the 43-year-old Bakken, who has been a mainstay on the Wright Homes (formerly Buck’s Unpainted Furniture) men’s league hockey team for two decades. Bakken played at Apple Valley for Larry Hendrickson, the longtime Minnesota high school coach who led both Richfield and Apple Valley to state tournament appearances. “He was my biggest coaching influence, when it comes to the psychological part of the game, when it comes to motivating players,” Bakken said. “Larry used to let everybody, personality wise, be their own individual. When it came to playing, he demanded that everyone play unselfishly. In his 21 years of playing amateur hockey, Bakken said he has been a part of eight USA Hockey Elite Division Full-Check National Championship teams. 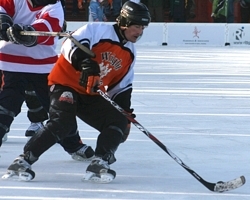 He has played on three Open Division title-winning teams at the U.S. Pond Hockey Championships, including the 2010 winner, Wright Homes almost 40. Bakken played at Williams College in Williamstown, Mass., and worked as an assistant coach at St. Olaf College for three seasons from 1998-2001. At Como Park, he takes for longtime Cougars coach Neil Paitich. Como Park went 10-15-1 last season, including a 6-0 loss to Hill-Murray in the Section 4AA quarterfinals. According to St. Paul Como Park athletic director Mike Searles, Bakken was one of six finalists for the position. "He's got a wealth of experience and background in hockey," Searles said. It’s clear Bakken has done his homework on the Como Park program. “We have 26 playes going out for varsity and JV,” he said. “The issue is we have a lack of experience. Como Park scored 84 goals last season, and we have 7 of those goals returning. When you compare that to other teams in our conference, Blake has 79 goals returning, Breck has 53, St. Paul Johnson has 69 goals returning. New St. Paul Como Park coach David Bakken (bottom row, middle) has won three U.S. Pond Hockey Championships Open Division titles as a member of Wright Homes almost 40.